Are you typically waking up with a headache? Do your arms hurt? How about your shoulders; do they hurt a lot also? Do you find having neck pains every morning? If you found that you have all of the above symptoms, first of all, we pity you. Secondly, we are more than happy to help you on that. It’s possible that all of your pains would be, in fact, caused by a major pain: your neck pain. When your neck is not properly aligned to the spine, when your neck is in distress, it’s not only the neck that suffers, but also your head, shoulders and even your arms. Could a simple pillow help? Of course, we have pointers, this is why we do it in the 1st place: to make your life easier. We talk about firm, pillows that simply mold to your head and neck, other pillows that are firmer or not, depending on your needs. Some are cheaper; some come pretty high at price. However, their quality makes the difference. No matter which one you choose, there has to be one out there that fulfills your needs. Additionally, if it also makes your stiff neck melt into the past… you got yourself a winner. Affordable and reliable, the Memory Foam Contour Firm Pillow Therapeutic Relief is a true little helper to ease the pain on your stiff neck. The pillow has an ergonomic design and supports your head, neck and shoulders no matter how you sleep. It ensures proper spinal alignments and soothes pains from sleep positions. The therapeutic design of the pillow makes it work best for the side and back sleepers as it includes 2 levels of neck height, for better comfort. The pillow is filled with good quality memory foam that has just the right firmness, for a long time. The foam is bouncy and comes back to its shape over and over again. If you’re currently struggling with some allergies, it’s good to know the pillow is hypoallergenic, antibacterial and dust mite/bedbug resistant. The pillow is well insulated and keeps at distance pests and allergy triggers. 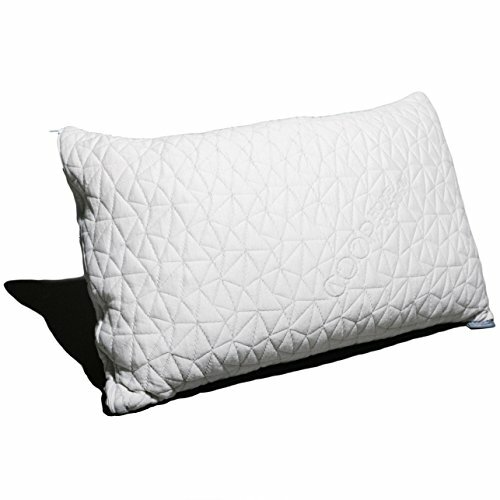 The removable cover of the pillow has a quilted and nicely textured design, having a soft touch feel to it. The zipper makes it easy to remove and machine-wash the cover when in need. The density of the pillow is good and alleviates neck pains. It has just the right amount of stiffness that lasts for quite some time. All in all, for a small price, you get a reliable, firm pillow that soothes any stiff neck. 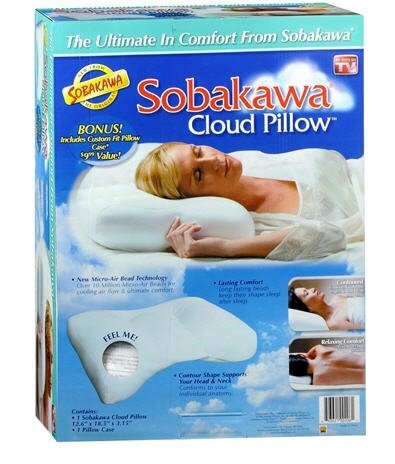 It’s never too late to start anew when it comes to better comfort in your sleep and you shouldn’t hesitate about have it a go with a pillow like the Sobakawa Cloud Pillow. The pillow is filled with more than 10 million airbeds and it’s highly moldable, giving you the chance to find the perfect position during your sleep. The pillow is based on the Asian buckwheat pillow designs and the beads adjust easily to your movements, offering continuous support for your head and neck. The pillow is crescent-shaped to adjust to the shape of your neck and shoulders. It’s very flexible and creates a good support throughout the entire night. It has efficient breathability and the beads help air ventilate better. You wake up well rested and fresh every morning. The removable cover presents a zipper for easier use. It’s removable and machine washable. The pillow comes with a free pillowcase. The pillow is well made and doesn’t lose its shape, but constantly adjusting it the way you like it. It’s comfortable and versatile, offering good support, no matter how you sleep. Last, but not least, the pillow is ready to use right out of the box and you don’t need time to get used to it. Overall, for a very good price, you get a flexible, comfortable and nice pillow that stands out with its design and filling. Winner of the British Invention of the Year 2012/2013, J Pillow, Travel Pillow has an ingenious chin support that will not only keep your head from falling, but it will also keep your neck in a great position. The pillow is a great choice to make when travelling as stiff neck often happens while flying to some destination. The design of the pillow helps you sleep a bit when travelling, but it’s great to use at home as well. You may easily use it when sleeping upright in your bed and you’d need to seat at the window when flying to get the best out of it. The pillow is lightweight and soft and has no specific smell. It’s easy to carry thanks to the snap-loop fastener that you may use for attaching it to your hand luggage. If that;s not on your liking, you may always squeeze it down for a compact shape. As for cleaning, unlike many other pillows out there, you may machine wash the entire pillow from time to time. You may also tumble dry on low heat when you want a soft support and let it air dry if firmer support suits you more. 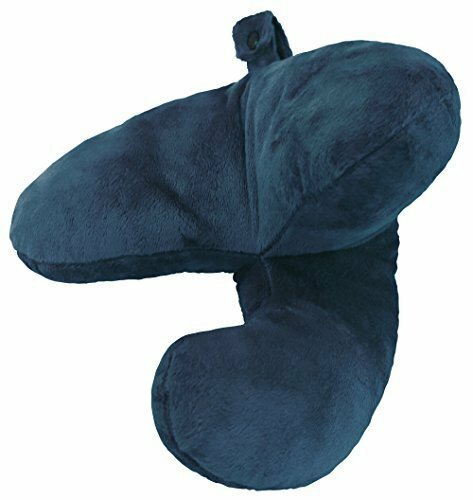 The J pillow is well made and anyone fighting some health problems may benefit from it. Despite the minor cons, the J pillow still stands as a great support for your neck, especially when travelling. The slim design of the Xtreme Comforts Slim Hypoallergenic Shredded Memory Foam Standard Bamboo Pillow with Cover makes it not only great for stomach sleepers, but also able to provide a nice support for your neck, no matter how you choose to sleep. The pillow is thin and it’s made here at home in our USA with 100% US made shredded memory foam. The foam is CertiPur-US certified and highly breathable as it’s made with Micro-Vented Kool-Flow Technology. It’s combined with 43% bamboo that increases air ventilation so you wake up dry and fresh throughout the whole night. The pillow is filled with shredded memory foam and keeps its shape for a long time. It’s very well made and has a long life span. It’s easy to take care of as it’s machine washable. You are either fighting some allergies or struggling with various health conditions (asthma, migraine, insomnia, snoring, neck and back pain and so on). It works for all sleep positions and comes for a great price. The neck support is good and the pillow conforms to the shape of your head and neck. Its cover is soft and increases comfort. The pillow is very well made and has a durability feel attached to it. All in all, for a fair price, you get a comfortable, breathable and thin pillow that soothes your stiff neck, among other good things. Waking up daily with a stiff neck and headaches it’s no picnic and you may put your trust and faith in the Tri-Core Cervical Pillow, Full Size, Standard Firm for a better sleep. 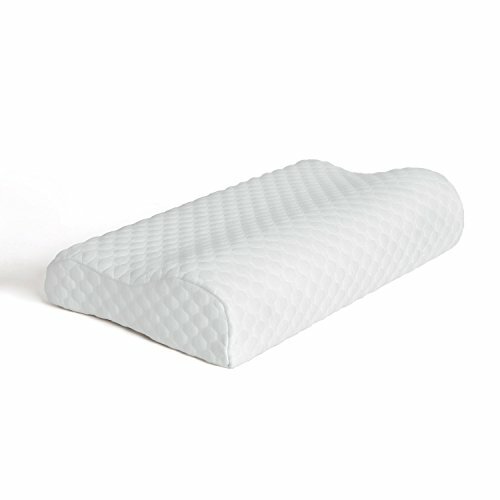 The cervical pillow ensures proper alignment of the spine and offers good, durable support. Its trapezoid-shaped design makes it a better choice for the back sleepers, but the pillow works for othe sleep positions as well. The pillow cradles your head, whereas the built-in neck roll gives a firm support for your neck. The side lobes are firm, yet comfortable and sustaint a natural position of your head when side sleeping. We like the pillow as it’s supportive, yet flexible and is very well made, with long lasting stitches. It’s highly resilient and springs back when compressed for good comfort and durability. The blended cotton cover of the pillow isn’t just breathable, but also so soft against your skin. The pillow comes in three different sizes so you get to choose the one that fits you the best. You may also get better comfort by using two different width neck rolls on top and bottom, depending on your height. The standard Tri-Core fits a standard pillow case, whereas the the midsize and the small size leave some more room. Leaving the minor cons aside, we still think highly of the Trio-Core pillow as it’s comfortable, supportive and great for neck pains/stiffness. Leave your skeptics behind and give it a go with a water base pillow that is able to be comfortable and pain relieving for your stiff neck. 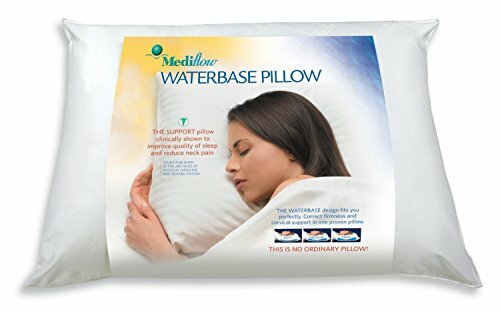 The Mediflow Original Waterbase Pillow may surprise you if it’s your first time to try this type of pillow and keep in mind that this type of pillow improves sleep in 4 ways, alleviating neck pains at the same time. The pillow is adjustable so you may decide for yourself how much firmness you need for your comfort. 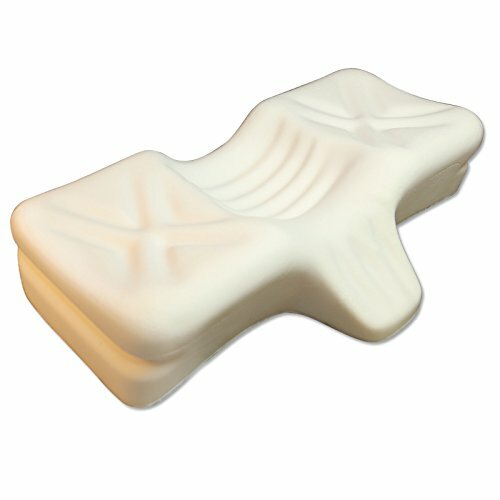 The efficiency of the pillow is great as it also responds instantly to your movements, without comprising your comfort. In order to get a better understanding of the pillow’s construction, it’s good to know the pillow has fiber filling supported by a water pouch. The fiber is hypoallergenic, whereas the water pouch is easy to fill. This is how the pillow manages to give you a luxurious, refreshing sleep every night. By adding/removing water, you may obtain the right level of support, from soft to medium and firm- if that suits you best. You don’t need to fluff or to re-stuff the pillow as the pillow keeps its firmness for quite some time. The pillow has no latex and is made here at home in our USA. It’s machine washable and dryable, so very easy to take care of. No matter the cons, the pillow still manages to be a great choice, especially if you’re willing to try something new. One thing you can’t complain about this next pillow is about being too firm or too soft. The Coop Home Goods – PREMIUM Adjustable Loft is adjustable so you can remove/add more filling according to your needs and wants; therefore the fault is entirely yours if you cannot find the right firmness for you. The pillow is made with a mix of shredded visco-elastic memory foam, meaning it’s moldable, yet supportive for better comfort. The pillow sustains good spinal alignment and minimizes risk for stiff neck. We also notice the breathability of the pillow and it’s great that you don’t wake up all sweaty in the morning. The pillow doesn’t include any harmful chemical ingredients and it’s CertiPur-US certified as it respects the standards on emissions, life span and content. The allergic customer may also benefit from the pillow, as it’s hypoallergenic and dust mite resistant. The pillow comes with a removable cover that’s made with 60% Bamboo from Viscose rayon and 40% polyester. The cover helps air ventilate and spreads your body heat, increasing the breathability of the pillow. Let’s not forget about the Interlock on the inner lining that is tight, but so soft against the skin. It’s easy to mold the pillow that doesn’t lose its shape fast. It soothes any back/neck/shoulder pains and gives the perfect support- it’s up to you to decide how firm/soft that support it is. The pillow is machine washable and easy to care for. It’s made here at home in our USA and is one of the most popular choices out there. Despite the minor cons, the pillow is a great option for the customer looking for a custom firmness that also eliminates the stiff neck. 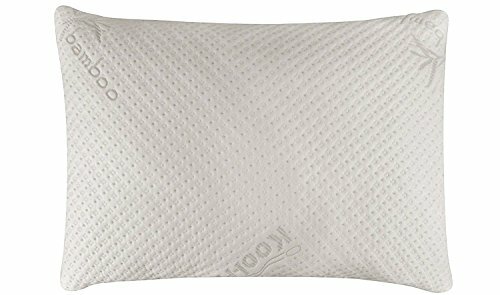 The versatility of the Snuggle-Pedic Ultra-Luxury Bamboo Shredded Memory Foam Pillow Combination With Kool-Flow Micro-Vented Covering – Queen is sure something to begin with when talking about the pillow. The pillow is comfortable for any sleep position and offers orthopedically support for your neck, no matter how you choose to sleep. It’s filled with shredded memory foam and feels lightweight. It goes great no matter your sleep position. We notice also the flexibility of the pillow that conforms instantly to the shape of your body, for increased comfort. The pillow is well filled and feels rather soft. It’s highly breathable thanks to its Ultra-Luxurious Kool-Flow feature. 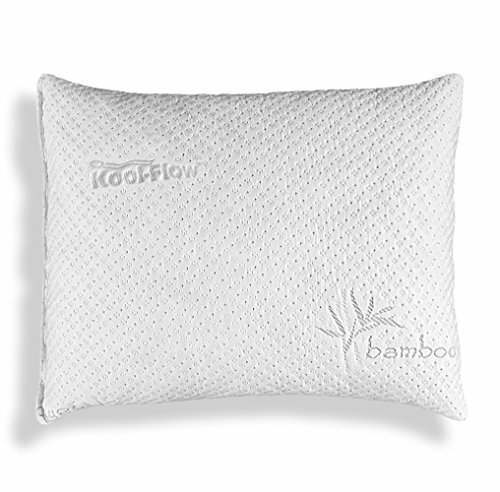 The Micro-Vented bamboo cover sustains also the air circulation and helps you wake up dry and fresh in the morning. The pillow is a safe choice for the allergic customer, as it’s hypoallergenic and dust mite resistant. It’s CertiPur-US certified, so it follows all the quality standards in our USA. The pillow is made here at home in our USA and that’s great for so many. As for the care, things are easy peasy as the pillow is machine washable. Versatile, comfortable no matter how you sleep, the pillow alleviates neck pains and is a sure buy when in need. Not all good things are made in our USA and some come from our friendly neighbors in Canada. 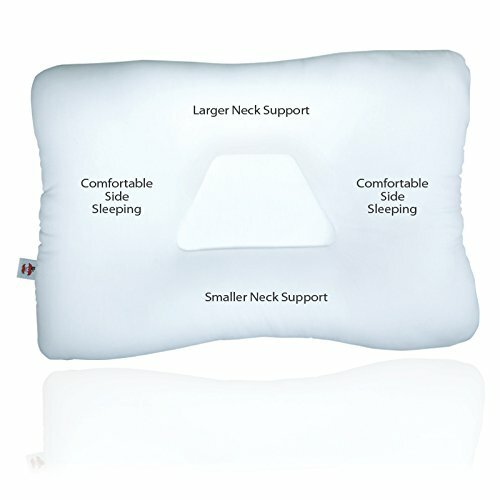 It’s the case of the Therapeutica Sleeping Pillow Petite that is especially designed to eliminate neck pains. The pillow has an ergonomic design and includes the professional advice from a doctor of Chiropractic. It ensures a proper spinal alignment and works for all sleep positions. You get to sleep sound thanks to the good support when using the pillow. The pillow comes in five sizes so it’s impossible not to find the right size for you. It’s filled with hypoallergenic foam, so it’s a safe and healthy option for the allergic customer as well. 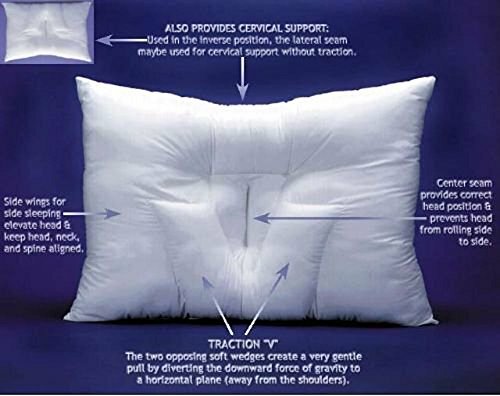 The pillow has a nice contour that creates a nice cradle for your head, minimizing neck and shoulder pains. It’s flexible and you may need a couple of days until you get used to its specific shape. The pillow comes with a zippered cover that has a soft touch feel (you may even not have to use a case anymore). The cover is made with cotton and polyester and is machine washable. The 5-year warranty of the pillow sure tells you something about its durability and craftsmanship. All things considered, for its comfort, reliability and ergonomic design the pillow sure stands out from many out there. Don’t worry if the Arc4life Cervical Linear Traction Neck Pillow Medium gives you some mild soreness in your neck or upper back the first couple of times you’re using it. It basically means it’s working, but your body needs a couple of days to get used to it. 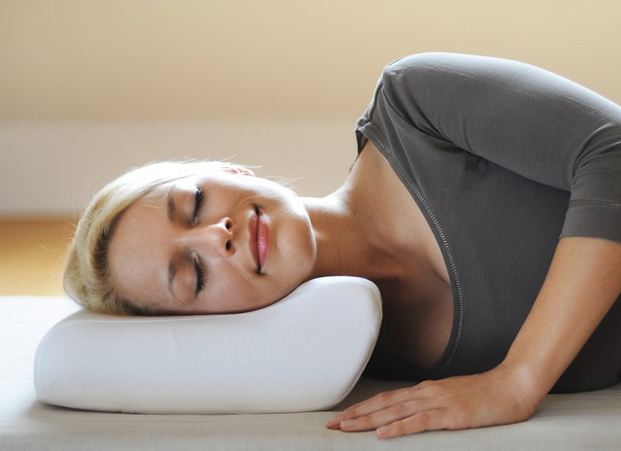 The pillow aligns in a natural way your spine and relieves pressure from your neck and muscles. It supports well your head and neck so you wake up nice and rested, with no stiff neck or other pains in the morning. Your posture also benefits from the pillow. The design of the pillow helps you breathe better and minimizes risk for snoring as well. It sustains blood circulation as it relaxes your muscles efficiently. The „V” shape in the neck pillow cradles your head and lifts it gently from your shoulders. The neck roll underneath is supportive for you neck, whereas the soft wings ensure the right height for your head when side sleeping. The pillow works great for the back and side sleeper. The mroe you use the pillow, the better it gets. You may feel you need to take it slow and it’s important to be patient. The pillow is hand stuffed with polyester fiber and it’s hypoallergenic. It has just the right firmness for best comfort. It may bring a lot of comfort for all sorts of pain and various health problems. The pillow is machine washable and latex free. It fits most of the standard pillow cases out there and doesn’t get hot. Nevertheless, for the comfort, reliability and efficiency, the pillow is a great investment of your money. I love to buy a lot of products for the home, and dissect them out. I split them into duds and winners, and share the findings here on my site. As a reader of my site, I'm hoping for your next purchase to be an informed and inspired one.